These instructions apply to TotalSpaces2 v.2.5.4 and above on macOS 10.11 and above. 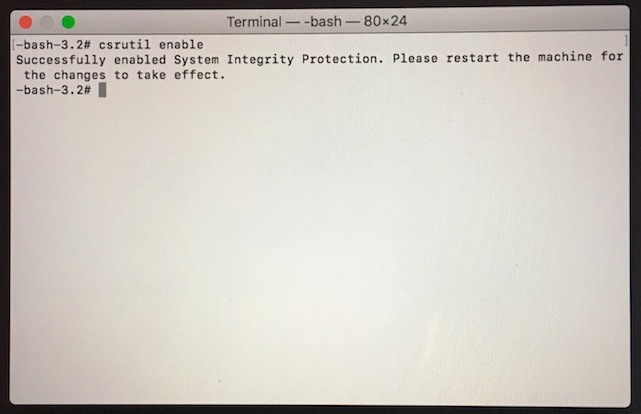 If you are installing on macOS 10.14 Mojave see here. TotalSpaces2 requires temporary changes to your security settings to be installed. Read more about it here. This requires rebooting your maching into recovery mode. Restart your machine, holding down until the Apple logo appears. 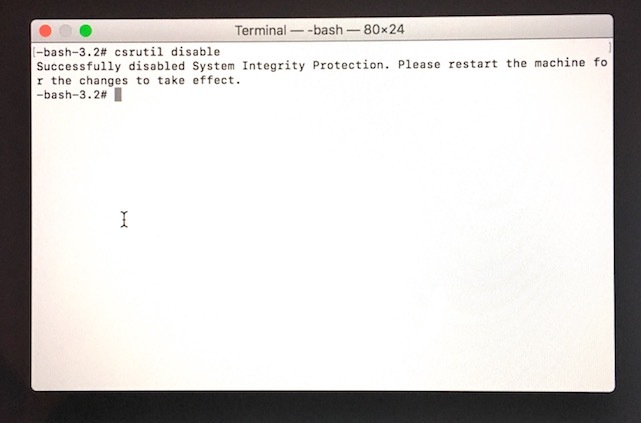 In the window that opens, type csrutil disable and press return. This turns off System Integrity Protection so that TotalSpaces2 can be installed. 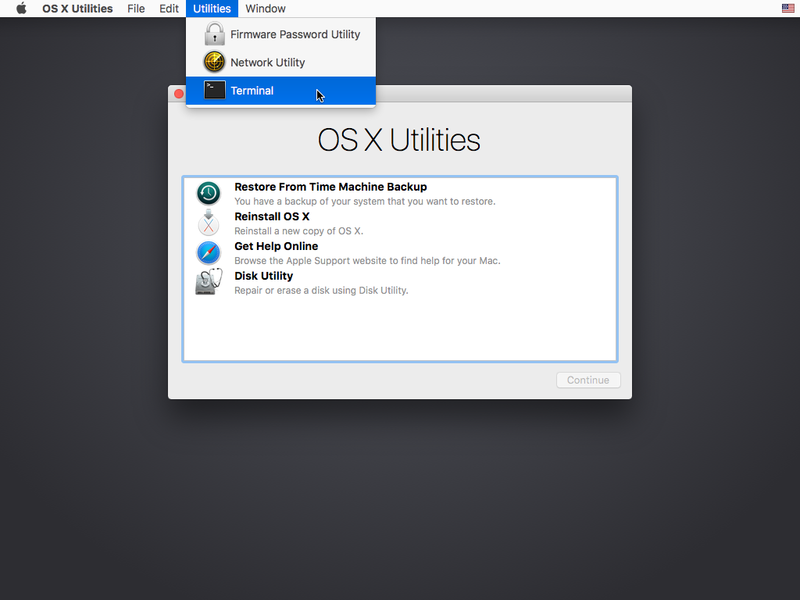 Choose restart from apple menu (top left). Double click on the DMG file you downloaded with TotalSpace2 in it. Drag TotalSpaces2 into your Applications folder. 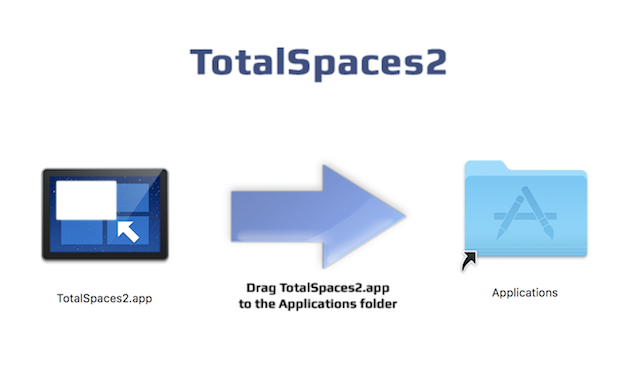 Run TotalSpaces2 from your Applications folder. It will ask for your password in order to install its plugin component. When the plugin has been installed successfully, TotalSpaces2 will tell you that you can turn SIP back on. Once again restart your machine, holding down until the Apple logo appears. Then select Terminal from the Utilities menu. In the window that opens, type csrutil enable and press return. This turns on System Integrity Protection so your machine is fully protected. Choose restart from apple menu to complete.